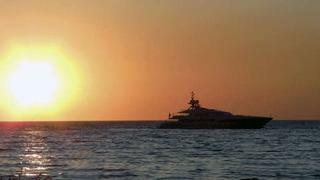 Today financing deals to purchase a yacht are handled by brokers and specialist bankers. As with many things associated with moving up in class, large yacht finance is a different dance with new steps to learn. Gone are the days when you negotiate a price with a salesman at a boat show and walk down the dock to a stand where you fill out a loan application and receive a floating key fob for your trouble. Now large yacht finance is a complex transaction typically handled by a banks private wealth management division or a broker who works with a bank that specialises in this trade. The difficulties that have swept the globe since 2008 have made it marginally more difficult to obtain large-yacht finance fewer lenders are engaging in yacht finance and their requirements are tougher  but for those with the will and the liquidity, there are ways. Moving up from a small boat to a superyacht involves many layers of added complexity, extra digits in the purchase price and a new financing paradigm. You likely wont be dealing with a traditional lending institution for a 20 year, fixed-rate loan with 20 per cent down based on your credit score. At values above $5 million or so, youll likely be dealing with a superyacht specialist to customise a package that accomplishes your goal of acquiring the boat while protecting your liquidity and theirs. An anecdotal survey of superyacht industry professionals suggests that half to three-quarters of new build and brokerage clients finance some of the purchase price of their yachts, even if they can afford to pay entirely in cash. The decision to finance likely has more to do with a broader financial strategy than the ability to pay. One of the primary reasons our clients finance is to take advantage of an arbitrage opportunity  to be able to earn more by keeping liquid assets deployed into the stock market or some other businesses investment than the cost of borrowing against the yacht, Verbit says. The arbitrage play is more difficult today so we've seen many of our clients pay cash or borrow against their securities portfolios. The yacht finance process generally starts with a conversation about the clients goals, says Verbit. Each client is different, with some seeking truly customised financing, but most fall into one of the banks standard products. A typical superyacht financing scenario might involve a loan for 75 per cent of the purchase price of the yacht with payments amortized over 15 years, with a balloon payment due within a period of up to seven years. Factors the bank will look at to establish the terms include the size of the loan, the risk profile of the client determined through financial underwriting analysis, and the clients relationship with the bank. Three years of financial statements for businesses representing 20 per cent or more of the client’s net worth. Three years of financial statements for businesses representing 20 per cent or more of the clients net worth. If the yacht will be owned by a separate entity such as an offshore corporation, the bank also will require copies of the formation documents of the ownership entity. A year or so before the balloon period matures, the owner and the bank will reassess the owners goals and intentions. At that time, the owner may decide to renew the financing package. If all is well with the owners financials, the bank may choose to renew the package, but likely with a shorter amortization.